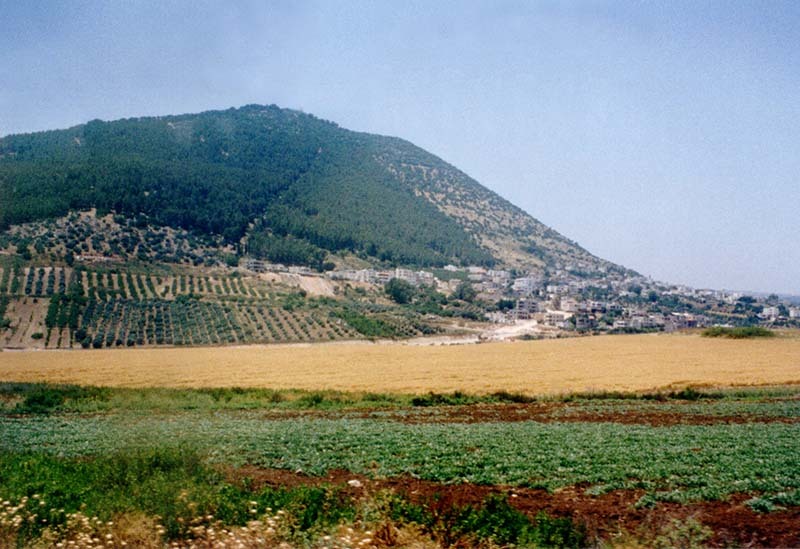 Mount Tabor might have been a special place that Jesus enjoyed as a child, because He chose it to be the place of His transfiguration when the time of His suffering grew nearer. What a climb it must have been for Peter, James and John as they followed Jesus to the top. No wonder they got sleepy! Lord Jesus, help me to climb to my own mountain-top experience of being Your friend! Amen! We climb half-way up by bus. Then the bus can go no farther, so we travel the remaining narrow switch-back road by taxi. See the red circle? 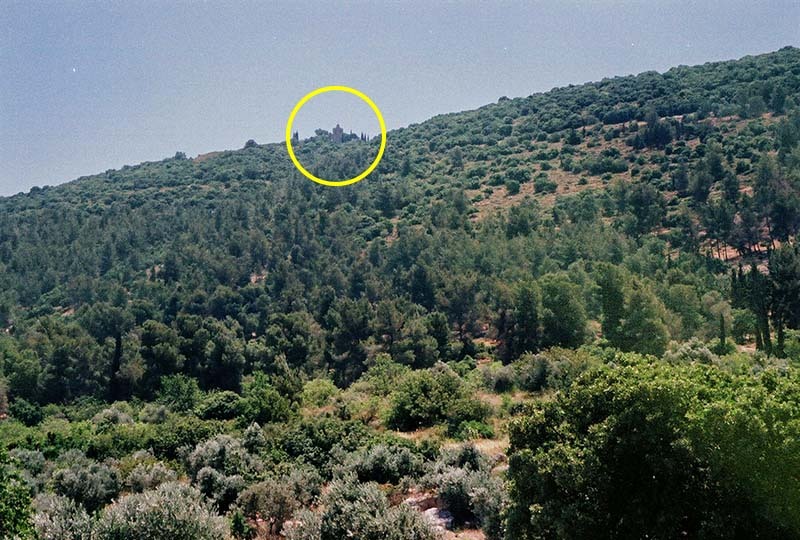 That points out the steeple of the Greek Orthodox Church of the Transfiguration, which is next to the Roman Catholic Church of the Transfiguration. Click on it to climb the mountain virtually!